After three consecutive seasons going into the last game biting our nails down to the quick, many Addicks including my brother and I made the most of a relaxing trip to Nottingham for the last game of the 1988/89 season. Although the days of European Cups were over for Forest they were still ending another superb season finishing third behind champions Arsenal (thanks to one Michael Thomas) and in fact under Cloughie Forest were long in the hunt for a domestic quadruple after beating Luton in the League Cup and winning the best forgotten Simod Cup but then losing to Liverpool in the FA Cup semi, the original game taking part on that tragic day a month before at Hillsborough. A lot of Addicks had travelled up in fancy dress and there was a carefree attitude, particularly amongst those Addicks who were actually on the pitch! Forest absolutely mullered us in the first half scoring three times, the first after 13 minutes when speedy winger Franz Carr put them in front. Neil Webb was weaving his magic and this was probably his finest season before he moved onto Old Trafford and anonymity. At 1-0 we were hanging on with half-time approaching but after the whistle blew we sat down on the sunny terrace three-down and with game over after first defender Terry Wilson powered in a header and then Webb himself hammered home a sweet 3rd. The 2nd half was better as Forest just tinkered with us, and we sung our Back to the Valley songs happy in the knowledge that the score didn't matter leaving the nail biting to West Ham and Boro who joined Newcastle in relegation from Division 1. I remember Steve MacKenzie and Paul Williams gave us a flurry of something to cheer in the 2nd half but the lid was put on Forest's victory in the final minutes when a young Steve Chettle scored a 4th. 1988/89 was a fine season for the Addicks finishing in our highest league position (14th) since 1956. If I look at the side that took to the field at the City Ground that day a number of players - Bolder, Reid, Humphrey, Shirtliff, Lee, Mortimer and of course Colin Walsh, who got a warm welcome from home fans that day - would each appear in my all-time favourite list. Charlton: Bolder, Humphrey, Reid, Shirtliff, Pates, Peake, Lee, Williams, MacKenzie, Mortimer (Walsh 21), Jones. 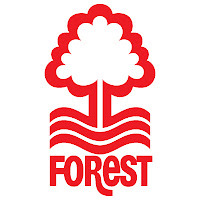 Forest: Sutton, Laws, Pearce, Walker, Wilson, Rice, Carr, Webb, Cloght, Chapman (Gaynor 57), Parker (Chettle 80).